What is Penguin Watch 2.0? We’re getting through the first round of Penguin Watch data- it’s amazing and it’s doing the job we wanted, which is to revolutionise the collection and processing of penguin data from the Southern Ocean – to disentangle the threats of climate change, fishing and direct human disturbance. The data are clearly excellent, but we’re now trying to automate processing them so that results can more rapidly influence policy. 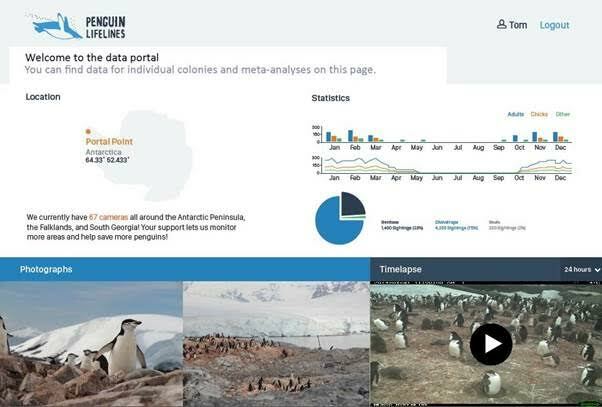 In “PenguinWatch 2.0”, people will be able to see the results of their online efforts to monitor and conserve Antarctica’s penguins colonies. The more alert among you will notice that it’s not fully there yet, but we’re working on it! We have loads of ideas on how to integrate this with the penguinwatch.org experience so that people are more engaged, learn more and realise what they are contributing to! For now, we’re doing this the old-fashioned way; anyone such as schools who want to be more engaged, can contact us (tom.hart@zoo.ox.ac.uk) and we’ll task you with a specific colony and feedback on that.